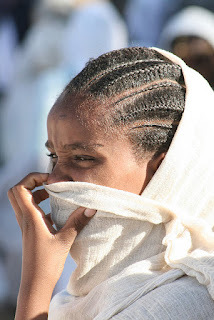 Market Woman (addressing the young, shy and scanty-haired Relentless): "Why is your own hair so scanty and your sister's hair is full?" Relentless (At least, what my response should have been): "I don't know! Ask God!" But that would have earned me a good slap from the said market woman, and even more slaps and a good round of caning by my mother, if she heard I had committed such an "atrocity." The conversation did not end there though, as you shall see. Market-woman-turned-dermatologist (addressing both of us): When you get home, tell your mummy to use *Adi-agbon (coconut oil) for your hair. Relentless (thinking to herself): Adi-agbon ko, Adi-agbado ni! It is called Kolese in Yoruba and I daresay is the most popular hair style amongst school girls. If your hair braider cannot plait 'all back,' then what can she plait? It could start from the very edge of the hairline (like Ghana weaving) or with a little (sometimes, a LOT) of "brushing" from the hairline downwards. I heard that in some schools, only senior girls were allowed to put "brushing" in their hair. True or False? *Variations: Front and back, Two-step (or is it called "Full step"? ), Ghana weaving, Shade Adu. 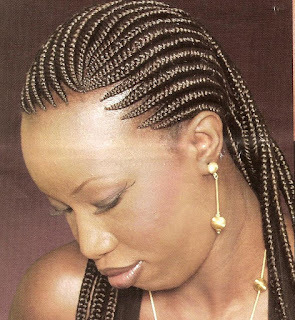 This one was the shakara hair style because your hair had to be a certain length to pull this style off properly. 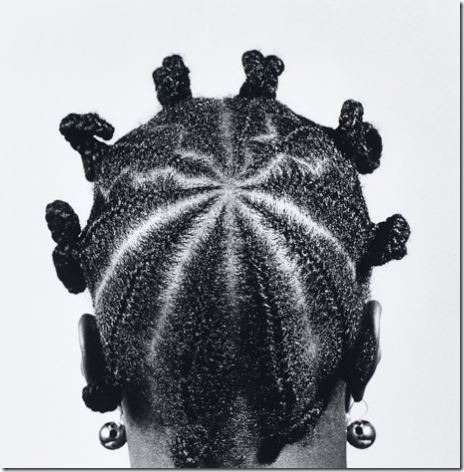 If your hair no long reach, na "puff puff" (see below) you go opt for o! LOL! 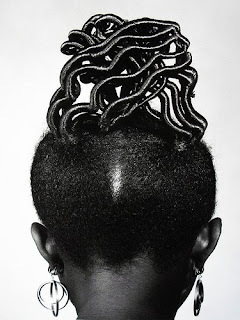 Patewo literally means 'Clap your hands' in Yoruba and that pretty much describes the hair style itself. *Variations: Suku Ologede (Suku with curves like a plantain/banana), Front and Suku. 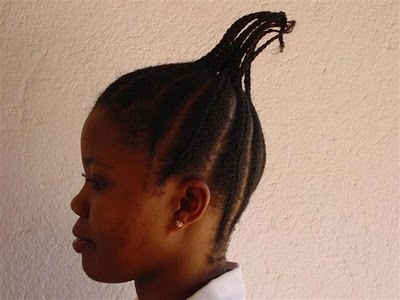 I guess this hair style was designed to resemble an overturned (upside down) pot. See any similarities? 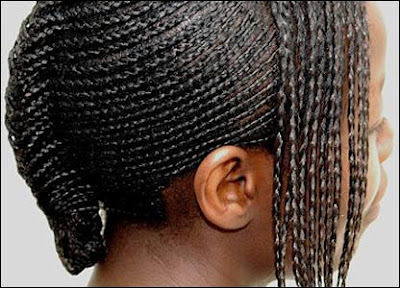 I am not familiar with the specific names of these hair styles, but they all have one thing in common: thread is used to create them, instead of the typical braiding or plaiting. I wish I knew the English names or had pictures, but like they say: Half Agege bread is better than a bag of chin-chin! UPDATE: *Thanks a lot, Jemima for correcting me. It's "Adi Agbon" not "Idi Agbon." you have no idea how much this post helps me! 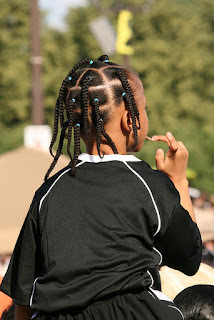 my oldest has hair that needs to be braided but can't articulate what style she wants. when she wakes up, i'm going to show her the pictures. thanks. I soo hated police cap. My primary school gave out standard weekly hair styles for us to make. This brought back so many memories, I remember i hated secondary school because we all had to have uniform hairstyles from treading to weaving. 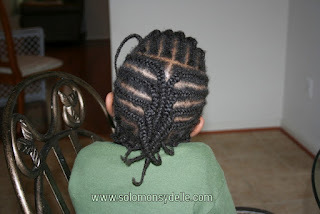 I remember shuku, patewo, backet, and i do not think there is any braiding i did not do for my hair. Naija life. basket!!!!! almost like the Koroba but without the fancy tips... the middle of my head would burn when i played under the sun. loooolll. I did the exact hairstyle in the first picture foe about 3 times last year. My colleagues at work always looked at me funny, but I didn't send o.
Niways, I was on low cut, all my school life cos my parents believed to make a child go through the pain of making hair every other week was unnecessary suffering, lol. LOL! My niece makes Patewo and All-back a lot. Love those styles. BUt SHUKU! Hian. Looks winchy.LOL. This is very original and it must have taken you a lot to gather this. Nice one Relentless. Prouda you! #7 is Irun Kiko. I liked doing them in different styles, I also enjoyed having "curved" hairstyles e.g. patewo with curve, shuku with curve, shade adu. 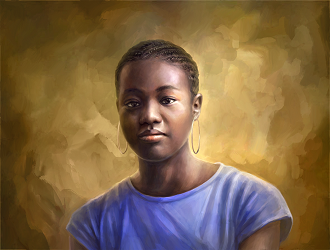 of course, I went to a public highschool in jss2, so I had to cut my hair, didn't need to go to hairbraiders who braided hair so tight that you can't even talk afterwards! Nollywood REinvented: That makes TWO of us. I had googled it and not found it organized the way I wanted so I decided to compile this list. I am glad you'll find this list helpful with braiding your cousin's hair. Yes, you reminded me of some others. I remember the names you mentioned: I think it was called "June 12" not June 6 and Evelyn King, I remember. Problem is I don't remember what they look like either :-( And of course, ALL Front. How could I have left that out? Thanks o jare! Luciano Michael: Yes, it did for me too :-) All back was my favorite as well (very simple). Your dad didn't allow it? Hmmm ... Well, at least now you can do whatever you want with your hair, right? Toin: Yes o, Idi Agbado. But, thankfully Jemima has corrected me, and it's actually "Adi Agbon" not "Idi Agbon" so I suppose I should have said "Adi Agbado" ... That would be corn oil, right? I don't know o! So you used to put that much 'brushing' in your hair? That's like almost not braiding it now, as in, barely complying. And you made your hair yourself? Lord have mercy! You are one skilled woman! Definitely no shakara-ing you rara. Three steps ke? Where was the space for that? (asking myself) I have no clue how to toughen it. I wouldn't be trying to toughen it sef. Folks I know are buying expensive shampoo to soften their hair not toughen it, so count your blessings, o! Police cap was ONE of my least favorite ones too. I just didn't like it. They called styles at your school? I often wondered about that. I've always detested the idea. And you did a term paper on hair styles? Boy, would I LOVE to read that one. 50 ke? Dissertation ma ni yen ke! NollywoodRave: It brought back memories, shey? It did that for me too. We didn't have to have the same hairstyle in school, but I always detested the idea. Threading is the least worn hairstyle for me. I think I did it once in my entire life. *High five for the market woman bit* So, I wasn't the only scanty-haired one? Thank God! For that very reason, certain hairstyles did not fit me like they did my sister. Funny enough, I was also a tomboy in secondary school (Anoda tory for anoda day). Shade Adu I really liked and did often because it fit my face. At least, I thought so. 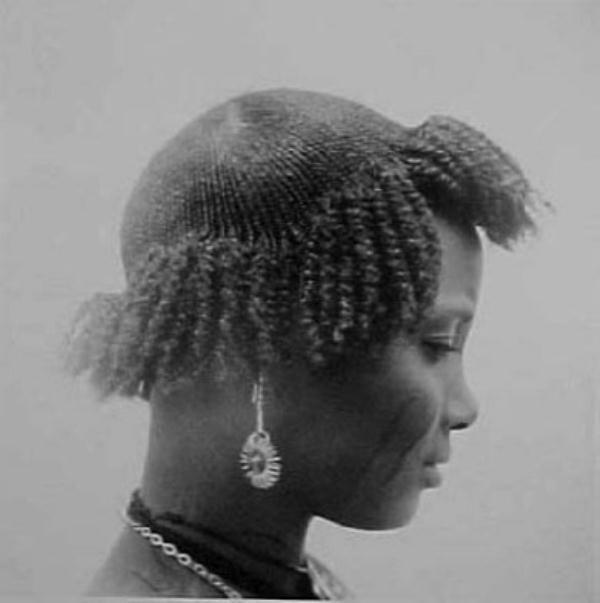 LDP: You're part of a growing number of MEN in particular who I have heard mention SHUKU (specifically) as a style they detest. Maybe it's a guy thing. Shuku was one of my least favorite hairstyles simply because I didn't think it was flattering to say the least. I wouldn't say modern women don't do these hairstyles anymore. They just "re-mix" them and give them fancy names e.g. Patewo is now a "Mohawk," Shuku is now a "Ponytail" and Kiko ... Well, I don't know about that one. Jemima: First of all, thanks so much for correcting me. I called it "Idi Agbon" when like you rightly pointed out, it was "Adi Agbon." I have corrected it and credited you. Thanks again :-) Now off to the rest. Michael: I remember making Patewo and All-back in school too. I actually liked that one too. Like I told LDP, you're one of a growing number of men I know who cannot stand Shuku, so I wonder if it is a man thing. LOL at winchy. Na you talk am o. Thanks a lot for the compliments. I enjoyed putting it together, that's for sure. Adeola Adegbusi: You're right, about that alternative name. I have heard people call it that too. It was one of the hairstyles I hardly did though. But wait o, shuku with curve I know is called "Shuku Ologede" but Patewo with curve? What does that look like? Loved Shade Adu too and did it often. LOL at your last comment. That is so so true!!! 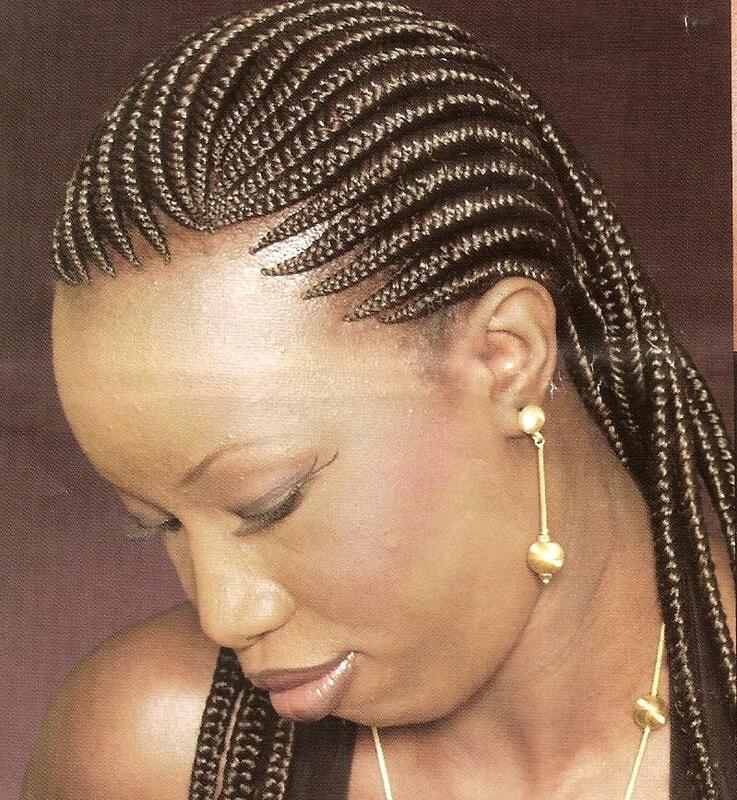 Some braiders were just sadists, abeg. But then again, when you see what they're working with (the chop-chop hair they have to apparently "braid") you'll pity the braiders too! This post makes me feel nostalgic. Fortunately or unfortunately for me I wore 'low cut' all through secondary school and even after - thanks to my very sensitive scalp & stubborn, weedy hair. I did admire & envy the hairstyle on other girls though. Lylincos: It did the same thing to me too. 'Low cut' throughout secondary school? *smh* I am sure you value your "freedom of choice" now more than others. Stubborn or not, I can imagine why you would envy and/or admire others who didn't have the same restrictions. Thank God for you can choose your own hairstyle now, abi? All these rules sef. Whose idea was this particular one? Thanks for stopping by, jare. I din't even notice the mistake honestly lol..thanks for making me look like a Yoruba language guru! Ha! this definitely brings back load of memories. The style I hated the most was suku. The lady that did my hair back then would put my head face down in-between her lap and it wasn't a pretty sight or smell. Every time I try to raise my head or wriggle myself out, she would push my head back and tighten her laps to my head even harder and then it gets all sweaty...you get the picture. Beauty comes at a price right? Lol! Thanks for stopping by blog. Had to pay you a visit also and I'm loving it. Beauty comes at a price, apparently. I did not have a choice back then. As for now ... It ain't happening ever!!! Anomymous (June 9 @ 2:42): It does, doesn't it? Thank God you kuku qualified it o, because even with the same hair and clothes, girls still find a way to tease one another. It's just their way. But the uniformity helped reduce it. Nice list Relentless builder. Good memories. My friend and I are always reminiscing about hair styles in secondary...she's not familiar with the Yoruba names cos she schooled in the east while I schooled in the West but the style descriptions are the same. Ginger: Thanks a lot! I wish I could put up all the alternative names, but I am glad you both found the list helpful. Thank God for pictures ... and memories! Hahahah... I remember one nasty threading job mumsi did for me in primary school, I couldn’t sleep. I had to take the hair out in the middle of the night.............good times. 9jaFoodie: I like how you ended with 'good times' even after noting that you had to take out the hair at night. Thank God for more 'options' today, ba? Anonymous (9-11-2012): Thank you for spelling out 'toroli.' I was beginning to think it was a veggie like broccoli. You know you just confirmed something I had wondered about for the longest time, i.e. whether or not threading your hair makes it grow. It looks like in your case it did. You're lucky you didn't have to braid your hair in the market. I'm glad you enjoyed it too. I so much love this...I am sharing it straight away! lolzz,,loving this post so much, but all this names are old school now as the younger generation now call them funky names. Ahahaha, this brings back way too many memories, I'd almost forgotten what some of these were called. You forgot 'two-step' (that was my favourite) but I guess that's just a variation of 'all back' but with two levels. I remember when my mum made me do 'koroba' - I hated it soo much, I was close to tears and didn't want to go to school that week. As if! Kemi Filani: Glad you enjoyed it. I'm assuming you already shared this too! Dada: Glad you loved the post! Care to share some of those funky names with me? Vegan Nigerian: Yes, it brings back many memories. How could I have left out "two-step"? I did that one often. Thanks for the reminder. Lol @ your reaction to Koroba. It seems we all have that one hairstyle we despised and for some (e.g. me) it was Suku. Wow I love this post! 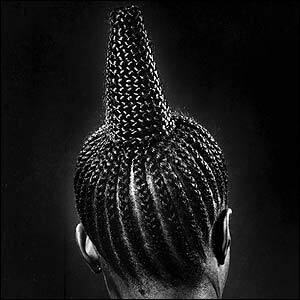 Brings back so many memories, but I'm sitting over here wondering WHY do so many people hate shuku! I was rocking that hairstyle back in the day-even so to the point my mother refused me to make it anymore until my siblings begged on my behalf. (okay, so I would make 2 shuku and front but all na the same thing) And I loved clap and front as well! 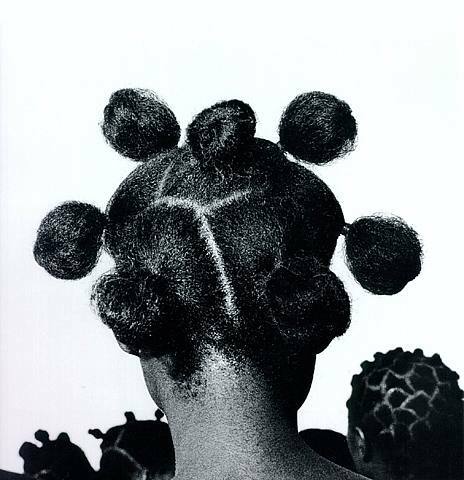 One of my favorites was love come down, because it was senior girls hair in my school, and there are many others I'm not even sure of their names, like this one where they make shuku on the right side of your head and half basket on the other side. Then there was one we called Binta my baby, I never agreed to make all back because for me it was too simple thus boring, but I could manage 2 step 3 step, all the steps :D And please don't get me started on the beads! (takes deep breath) But one hairstyle I couldn't stand for anything was that police beret of a thing. To the extent I wanted to write a letter to the government telling them to ban that thing! Pls which hair style is Lagos bridge with the picture pls I need an urgent reply. Inyee Karibi: "Binta my baby" sounds familiar, but I can't think of what it looks like. I think Shuku gets no love because it's what I like to call a "severe" hairstyle. It only fits certain people. On others, it's just terrible. I strongly suspect you were not the only one who hated police cap. I believe I actually did that hairstyle maybe two times in my entire life.